Dr. Manoj Arukandathil, Ph.D Managing Director of Kumar Industries (India), Kozhikode & Chairman, SMART Hospital & Research Centre – Kokkallur, Kozhikode is also one of the founders of Shree Mansons Charitable foundation, Kozhikode. A philanthropist by nature, Dr. Manoj has ventured into new paths in business and charity and made them into astounding successes. 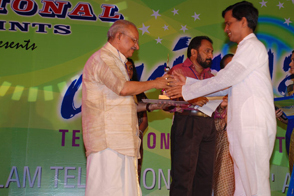 Born in Kozhikode, Kerala, he set out on his own and started a small-scale soap industry at Kozhikode in 1983. It was expanded in 1991. Backed by the experience gained in the past, he developed a new formula for soap manufacturing and a new washing powder under the name of MAa Washing Powder, which has become a household name in Kerala. The same is distributed throughout Kerala. Apart from administering own soap unit, he later on formed an Association of Small Scale Soap Manufacturers of the State in 1990 and started helping them in solving their day-to-day problems by contacting the concerned government authorities. For the past 24 years he has been working as the State General Secretary of the Association. The association has achieved to eliminate the monopoly erected by the multi-national companies in the soap manufacturing area. In 2002 multinational companies with the help of the World Bank started a Hand Washing Program (Kai Kazhukal Padhadhi) with a motive to sell their products. The association vehemently opposed this move and defeated the program. This attracted the interest of general public on a massive scale. Dr. Manoj has also conducted many seminars and deliberations to bring the hardships experienced by the Small Scale Soap Manufacturing Units to the attention of the general public and government. 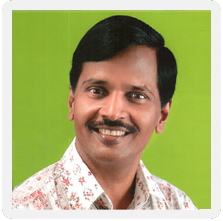 Dr. Manoj, a versatile personality, is also engaged in many social activities for the betterment of the general public. 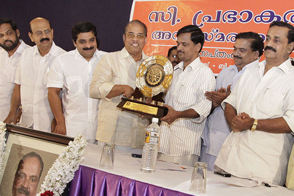 In I995 he started an organization, Shree Manson’s Charitable Foundation to help the under privileged people of Kerala. Dr. Manoj has held several key positions in the social, cultural, political and educational fields and made significant contributions for the overall growth and development in these spheres. In spite of being an extremely busy person, Dr. Manoj is very much a family man and is ably supported in all his ventures by his family. 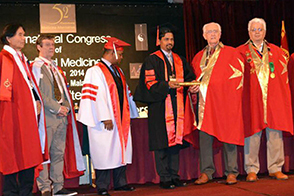 Dr. Manoj Arukandathil, Ph.D is a Ph.D holder thesis of Social commitment through entrepreneurship in the year 2014. © 2014 All rights reserved Manoj Arukandathil. Powered by Meridian Solutions Inc.